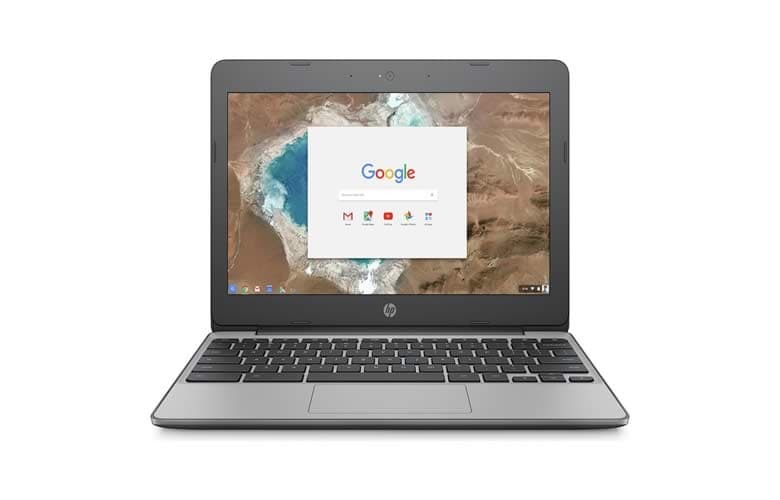 The HP Chromebook 11 G5 is the fifth generation Chromebook laptop from HP. 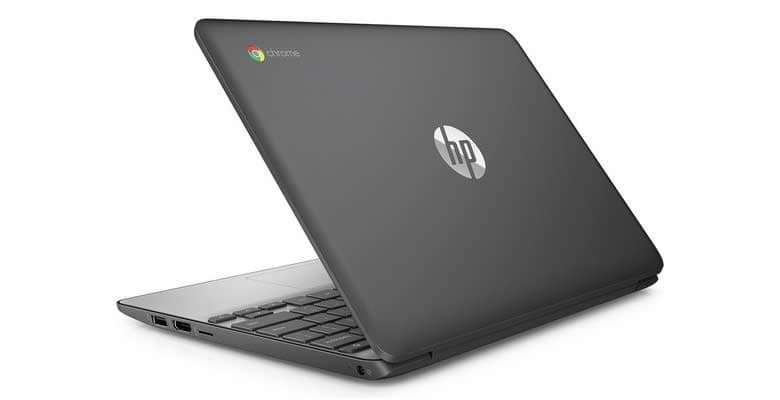 It was launched at the same time of its bigger HP Chromebook 14 version. It’s a perfect Chromebook for students or anyone who needs a laptop that is ideal for people on the move. This is thanks to its small slim design, which makes the Chromebook perfect to take out and about. 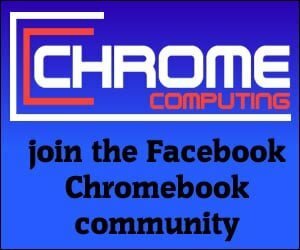 This is a great Chromebook for anyone who is on a budget. It's small design also means it's a perfect choice for someone who needs a laptop to use on the move. It does include Android Apps, which is good to see. However, the 16GB of storage may be a bit limited if you're looking to install a lot of Android Apps. The processor is fine for basic tasks and 4GB of RAM is also enough for this type of Chromebook computer. The HP Chromebook 11 G5 comes with an Intel Celeron dual-core processor. The processor runs at 1.6GHz and is capable of a turbo boost speed of 2.48GHz. It also comes with a 2GB cache to help speed up applications you use regularly. This type of processor means it’s best for people who want to use a Chromebook for basic tasks. If you’re looking for a Chromebook to surf the internet and maybe do some word processing then this Chromebook is a perfect choice. The Chromebook comes with 4GB of RAM, which is more than enough for most users. This amount of RAM will mean the Chromebook will handle internet browsing, word processing and video streaming with no problem at all. 4GB of RAM also means the HP Chromebook 11 G5 should be able to use Android Apps just fine. There is a 2GB version available, which you may want to skip because the price difference is negligible. The storage that comes with the Chromebook is 16GB and is supplied using eMMC storage. Whether this is enough storage will depend on what you’re intending on using the Chromebook for. If you’re mainly looking at internet surfing and word processing then it will be fine. Also, you need to consider the Chromebook is perfect for cloud computing and it works seamlessly with Google Drive. If you get into a habit of saving in the cloud rather than locally then 16GB of storage should be enough. However, if you’re intending on installing a lot of Android Apps you may struggle with the 16GB of storage available. If you’re only considering installing a few you’ll be fine. If you think you’ll be installing a lot of Android Apps then the 16GB of storage will run out very quickly. The display is 11.6-inches, which is at the smaller end for Chromebooks. It comes with a resolution of 1377 x 768. The display also features anti-glare, which will make it much easier to use your Chromebook if you’re out in the sun. All Chromebooks come with a good battery life but the HP Chromebook 11 G5 has an amazing battery life. This Chromebook is capable of delivering up to 12 hours of use on just one charge. This means you should have no issues with your Chromebook running out of battery during the day. 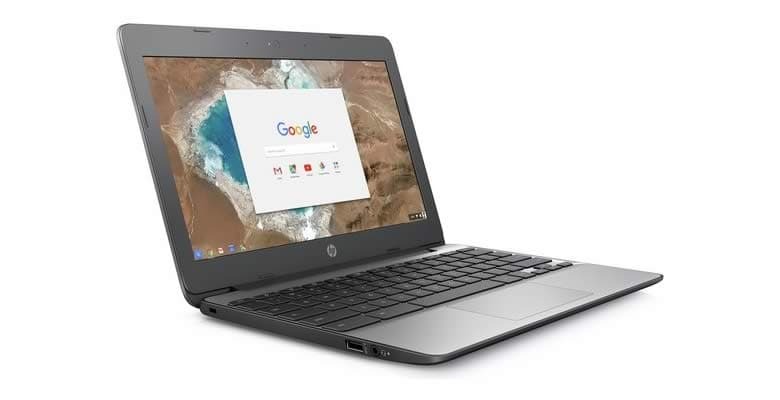 The HP Chromebook 11 G5 is capable of installing Android Apps, which is great for anyone who wants to get a little bit more out of the Chromebook. There are thousands of Android Apps available from the Play Store to choose from. If you’re looking at buying this Chromebook ensure you get the right model. You can pay a little extra and get a touch screen version. Also, there is a model available with 2GB of RAM, which you might want to avoid. This is because the difference in price between 2GB and 4GB is hardly noticeable. It’s hard to see what the benefits of getting the 2GB version would be when the price difference is negligble. If you’re after a budget laptop for basic tasks such as internet surfing, word processing or watching YouTube videos then this Chromebook is a good choice. It’s good to see that the Chromebook supports Android Apps. However, the only issue you may have is the storage space. 16GB of storage may be fine if you save your work in the cloud on a service like Google Drive. The only problem is that when you install Android Apps they install on your Chromebook. So if you think you’ll install a lot of Android Apps then it may not be suitable. When it comes to being portable this Chromebook is perfect thanks to the small design and the amazing battery, which can provide up to 12 hours of usage. When you consider the price of this Chromebook there is not really much you can complain about. It’s a great Chromebook for the budget conscious.